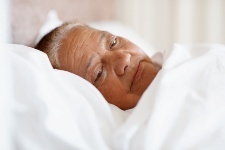 Fatigue caused by cancer is far more intense and chronic than exhaustion unrelated to cancer. The researchers want to see what types of sudden exhaustion there are among the 90% of cancer patients who experience it. The “sudden” bit came about because of years of observation that show that cancer patients report immediate fatigue that springs powerfully and unexpectedly. RECOMMENDED: Chinese therapy that can help breast cancer patients. The study took place in the Midwest, involving 114 patients (ages 31-67) undergoing chemotherapy for breast cancer. Nearly half (46%) reported this sudden fatigue phenomenon, showing how frequent this exhaustion slams into cancer patients. The vast majority, 81%, said it happens more than once a day and that by far the most common time was during the day. Cancer patients have already been put through the ringer, so we should believe the 90% in this study who said the sudden exhaustion was “severe” in intensity. Incredibly, it can last up to eight hours. It also can present with pain, nausea, breathing difficulties, weakness, and dizziness. Some people can do nothing but close their eyes and go to sleep. As you can expect, this can be an enormous infringement on your quality of life. Most episodes lasted an hour or less, but some lasted up to eight hours. Some patients had to sleep; others did not. Many reported concurrent symptoms including weakness, dizziness, pain, sweating, nausea, and shortness of breath. The intensity of this issue means, according to the researchers, that it is a syndrome unto itself. It shouldn’t just be tossed to the side as fatigue related to cancer. The next step is to see what types of experiences a cancer patient undergoes that lead to symptoms of sudden exhaustion. Most interesting would be discovering why some people do not experience sudden exhaustion, when it appears so widespread. What is it about them that is protecting them? Could this also be a key part of the fight against cancer itself? For now, cancer patients can at least understand that this might be a reality, and prepare themselves. We need to manage this sudden exhaustion, which can cripple the ability to function in everyday life. Wu, H., et al., “Definition, Prevalence and Characteristics of Sudden Exhaustion: A Possible Syndrome of Fatigue in Cancer,” Support Care Cancer. February 2013; 21: 609-617.